Heating Oil at McLEAN Fuels Ltd. Northern Ireland. Same day delivery **Orders must be in by 9 AM**. Excludes Sundays and holidays. Next day delivery Delivery is the next working day. Excludes Sundays & holidays. Specific day delivery Excludes Sundays & holidays. 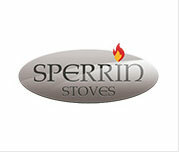 Browse our wide range of multi-fuel stoves online now! Mclean Fuels is a successful family business established in Mid-Ulster in 1975. Based in Magherafelt, we deliver to homes and business within an approximate 15 mile radius. We provide a wide range of fuel products to the domestic and commercial market including central heating oil, gas oil for commerical use and derv for the road haulage and transport sector. Don’t miss our weekly offers! Signup to our newsltter!